Object-oriented ontologists (SR/OOO) argue that we must no longer make the correlationist error of privileging the being of humans within ontology, instead moving to a ‘democracy of objects’ (see Bryant 2011). In this, they follow the other speculative realists in attempting to develop a notion of ‘flat ontology’. This flat ontology is one in which hierarchy is banished and therefore bears a striking resemblance to the universe described by science, albeit differing in not seeking reductionist explanations in terms of causation, etc. Nonetheless, there seems to be no World, in the Heideggerian sense, for the speculative realist, who, observing the relative position of philosophy vis a vis science within human culture, endeavors to replicate or supplement scientific inquiry without human culture, by providing a speculative and philosophical description of the universe through the notion of withdrawn or partially visible objects – Morton calls this ekphrasis or "ultra-vivid description" (Morton 2011: 170). That is, to refute the presumed correlationism of scientific practice. In most varieties of SR/OOO, therefore, I think they are actually undertaking object-oriented onticology – and it is important to note that Graham Harman considers himself to be writing object orient philosophy (formerly OOP but increasingly Harman uses OOO), previously distinct from object oriented ontology (OOO, which was coined by Levi Bryant) and other branches of speculative realism (SR). That is, a position more interested in beings, rather than Being, something I discuss further below. For example, Ian Bogost (2012a) outlines a system of thought in which no object has precedence or hierarchy over another, and yet all share a commonality which, following Heidegger, Bogost calls being and we might understand as ‘objectness’ or ‘being an object’. This suggests a revealing paradox raised by trying to place a general case (being) as equivalent to the particular (beings) within this flat ontology, and which is justified by virtue of the singularity of what he calls a ‘tiny ontology’ (Bogost 2012a: 22). So, what is at stake in the project of object-oriented ontology – a philosophy whose readers consists of humans who are actively solicited? Indeed, as part of this project, object-oriented ontology seeks to convince the reader of her own experiential equality in relation to the quantitative variety of experiences of different beings within the universe, human and non-human (see Charlesworth 2012). This, of course, has political implications. Here, I want to explore how and why this group of self-defined ‘anti-correlationists’ work so hard at a rhetorical attempt to convince its readers as to the importance of the object-oriented ontology (SR/OOO) project. We might also note that the term object-oriented philosophy has knowingly borrowed its label from object-oriented programming, a method of structured computer software design and programming. 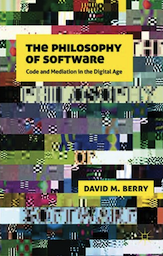 I suspect that there is an underlying and unconscious use of the assumptions of an ontotheology of computationality (or glitch ontology) underlying "object-oriented ontology", something I intend to return to more explicitly in a later article (but see Bogost 2009b for a related discussion of this; also Berry 2011). Again, I think it is useful to turn to Ian Bogost’s work as he clearly outlines object-oriented ontology in Alien Phenomenology: or What It’s Like To Be A Thing. 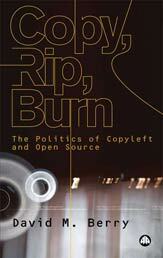 This book is written to be widely read and Bogost has acknowledged as much on different fora. More so, its intended readership is clearly and unmistakably human. We ought to think in public. We ought to be expanding our spheres of influence and inspiration with every page we write. We ought to be trying to influence the world, not just the blinkered group that goes to our favorite conference. And that principle ought to hold no matter your topic of interest, be it Proust or videogames or human factors engineering or the medieval chanson de geste. No matter your field, it can be done, and people do it all the time. They're called "good books. 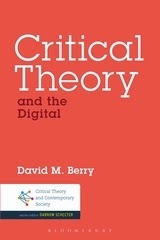 "… And I've tried very hard as an author to learn how to write better and better books, books that speak to a broader audience without compromising my scholarly connections, books that really ought to exist as books (Bogost 2011; see also Bogost 2012: 88-91). So, rather than asking what it is like to be a thing, I want to explore what is the use of knowing what it is to be a thing. In other words, we might ask what are the uses of object-oriented ontology? What are the practices of object-oriented ontologists, and how do they reflect upon their own, mostly discursive practices, and their relationships with ‘objects’? Whilst the claims of a “grim deadlock” or “current mainstream philosophy” remain undefined and unexamined, for Bogost making lists “hones a virtue: the abandonment of anthropocentric narrative coherence in favor of worldly detail” (Bogost 2012a: 42). An attempt, we might say, to get closer to the buzzing variety of the ‘real’. Further he explains, “Lists of objects without explication can do the philosophical work of drawing our attention towards them with greater attentiveness” (Bogost 2012a: 45). An ontograph, he claims, is a “crowd” (Bogost 2012a: 59). They are also, we might note in passing, extremely partial lists, reflecting the rhetorical intentions of the litany reciter and only a description in the weakest sense of the term (see appendix I below). I am working through Ian Bogost’s (2012) work as a representative example of object-oriented ontology and allow it to stand in for the varieties of speculative realism. Whilst acknowledging some significant differences in the content of their philosophical systems, the general form of their argument seems to me to remain fairly consistent, claiming that philosophy made a catastrophic error following Kant into correlationism – the mistaken belief in the importance of the human as a co-constructor of knowledge and understanding. I want to challenge this claim on two grounds, one a performative contradiction in relation to the selection of intended readers capable of being influenced by the persuasive discourse of object-oriented ontology. Secondly, on the basis of what I perceive to be an unexamined formalism which is implicit in the construction of the speculative realist philosophical system. Both of these I believe are highly damaging to the claims of the speculative realist position, but the second criticism points towards a potential political conservatism at work within the project of speculative realism more generally. These are not the only weaknesses in the object-oriented ontology position, but I think they are significant enough to warrant discussion. “Why do we give the Civil War soldier, the guilty Manhattan project physicist, the oval-headed alien anthropomorph, and the intelligent celestial race so much more credence than the scoria cone, the obsidian fragment, the gypsum crystal, the capsicum pepper, and the propane flame? When we welcome these things into scholarship, poetry, science, and business, it is only to ask how they relate to human productivity, culture, and politics. We’ve been living in a tiny prison of our own devising, one in which all the stuff that concerns us are the fleshy beings that are our kindred and the stuffs with which we stuff ourselves” (Bogost 2012a: 3, emphasis added). Putting to one side the somewhat doubtful claim that the former litany is given more credence by anyone except, perhaps, humanities scholars, here we see a claim to a collective ‘we’ that Bogost wishes to speak for and to. Further, he adds, “Let me be clear: we need not discount human beings to adopt an object-oriented position – after all, we ourselves are of the world as much as musket buckshot and gypsum and space shuttles. But we can no longer claim that our existence is special as existence” (Bogost 2012a: 8). Indeed, if we were to take this claim seriously then one would be driven to wonder why Bogost is writing his book at all, but of course, “musket buckshot and gypsum and space shuttles” cannot be the addressees of this text as patently they do not read. So object-oriented ontology (OOO) is trying to do two things here, on the one hand deny the specialness of humans’ existence in relation to other objects, whilst simultaneously having to write for them and to make arguments supporting their claims – thereby acknowledging the very special existence that humans possess, namely qualities of understanding, taking a stand on their own being, etc. This is a classic performative contradiction. Whilst it would be perfectly legitimate to outline a formalist theory or methodological position that, for the sake of the approach, limits the requirement to treat human actors as particular or special in relation to others (this is the methodological innovation within Actor-Network Theory), it is quite another to then extend this claim into a philosophical system which is part of a special order of discourse particular to human beings, that is, philosophy. This so-called philosophical non-human turn, is interesting for its nihilistic and conservative implications, something we now turn to in detail. [object-oriented ontology] “allows for the possibility of a new sort of humanism,” in which, as Harman adds, “humans will be liberated from the crushing correlational system.” For his part, Nick Srnicek offers opprobrium in place of optimism… “Do we need another analysis of how a cultural representation does symbolic violence to a marginal group? This is not to say that this work has been useless, just that it’s become repetitive” (Bogost 2012a: 132). In this ‘liberation’ therefore, we are saved from the ‘crushing’ problem of repetitive accounts of marginal inequality and suffering. This is achieved by a new ‘humanism’ that rejects the human as having any special case, such that the marginal problems of women, LGBT, immigrants, asylum seekers, and the poor are replaced with the problem of a litany of objects such as “quarks, Elizabeth Bennet, single-malt scotch, Ford Mustang fastbacks, lychee fruit, love affairs, dereferenced pointers, Care Bears, sirocco winds, the Tri-City Mall, tort law, the Airbus A330, the five-hundred drachma note” (Bogost 2012a: 133). He notes, “If we take seriously the idea that all objects recede interminably into themselves, then human perception becomes just one among many ways that objects might relate. To put things at the centre of a new metaphysics also requires us to admit that they do not exist just for us” (Bogost 2012a: 9). Leaving aside the question as to why we would want to apply that idea in the first place when it stands as hypothesis rather than expressing any form of evidence or proof, one might wonder how one is to judge between the different forms of perception in order to (re)present the litanies, let alone recognize them. This is a constant and unexamined problem within the domain of object-oriented philosophy (OOP) and is hardly dealt with by Harman’s notion of ‘metaphor’ or ‘alluding’ to things (Harman 2009b). Ontology is the philosophical study of existence. Object-oriented ontology ("OOO" for short) puts things at the center of this study. Its proponents contend that nothing has special status, but that everything exists equally--plumbers, cotton, bonobos, DVD players, and sandstone, for example. In contemporary thought, things are usually taken either as the aggregation of ever smaller bits (scientific naturalism) or as constructions of human behavior and society (social relativism). OOO steers a path between the two, drawing attention to things at all scales (from atoms to alpacas, bits to blinis), and pondering their nature and relations with one another as much with ourselves (Bogost 2009, see also Bogost 2012: 6). 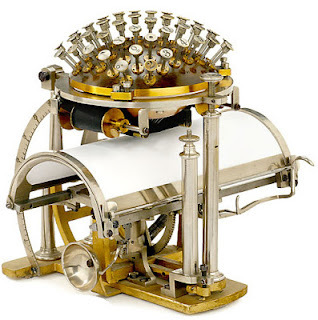 What is essential is not what we presumably establish with exactness by means of instruments and gadgets; what is essential is the view in advance which opens up the field for anything to be established (Heidegger 1995: 60). So it happens that we, lost as we usually are in the activities of observing and establishing, believe we “see” many things and yet do not see what really is (Heidegger 1995: 60). To draw back to the original question: what are the uses of object-oriented ontology? It seems to me that object-oriented ontology and speculative realism together reflect a worrying spirit of conservatism within philosophy. They discount the work of human activity and place it alongside a soporific litany of naturalised objects – a method that points less at the interconnected nature of things, and gestures more towards the infinity of sameness, the gigantic of objects, the relentless distanceless of a total confusion of beings (see Harman 2009a for a discussion of things and objects). In short, experience as passive, disoriented and overwhelming, what Heidegger described as the “terror” of pure unmitigated flatness. And with that, philosophy becomes ‘cold’ philosophy, instead of understanding, we have lists and litanies of objects. Not so much philosophy as philosography, where rather than understanding the world, there is an attempt to describe it, and a worrying tendency towards the administration of things through a cataloguing operation. 1. The gigantism of the slowing down of history (from the staying away of essential decisions all the way to lack of history) in the semblance of speed and steer ability of "historical" [historisch] development and its anticipation. 2. The gigantism of the publicness as summation of everything homogeneous in favour of concealing the destruction and undermining of any passion for essential gathering. 3. The gigantism of the claim to naturalness in the semblance of what is self-evident and "logical"; the question-worthiness of being is placed totally outside questioning. 4. The gigantism of the diminution of beings in the whole in favour of the semblance of boundless extending of the same by virtue of unconditioned controllability. The single thing that is impossible is the word and representation of "impossible" (Heidegger 1999: 311). To see what "shows up" to the philosographer one is unsurprised to see lists that are often contaminated by the products of neoliberal capitalism, objects which could not just appear of themselves, but required actual concrete labour of human beings to mediate their existence. For some reason, object-oriented ontology is attracted to the ephemerality of certain objects, as if by listing them they doubly affirm their commitment to realism, or that the longer the list the more ‘real’ it is. There is also the tendency to attempt to shock the reader by the juxtaposition of objects that would normally be thought to be categorically different – see Bogost (2009) for a discussion of whether including Harry Potter, blinis, and humans in a list was a striking enough example. These rhetorical strategies are interesting in thermselves, but I do not see them as replacements for philosophy. This demonstrates that the speculative realists have not escaped the so-called ‘correlationist circle’ (Harman 2009b), nor provided a model for thinking about the anti-correlationist paradox which remains present in their own work. We should therefore ask object-oriented ontologist to move beyond merely staring at the objects they see around them and catch sight of what is being listed in their descriptive litanies. That is, examining the lists they produce, we can see what kind of objects they see as near, and which they see as far, and therefore question their claims to see objects all the way down (see Bogost 2012: 83-84). Yet as we examine these lists there appears to be a profound forgetting of Being, as it were, as they write both for and as subjects of Late Capitalism – a fact which remains hidden from them – and a seemingly major aporia in their work. I am grateful to Ian Bogost for arranging for a new copy of Alien Phenomenology to be sent to me after I received a curiously corrupted first copy. There is a striking computational construction to this statement and bares a deep affinity with the conceptualization within object-oriented programming. Elsewhere (Berry 2012) I have remarked on the computational nature of lists, more generally conceived as ‘collections’. Many programming languages were created to computationally manipulate lists, often called list-programming languages, such as LISP and PROLOG. The similarity with object-oriented ontology is extremely suggestive. Whether by accident or design Bogost compiles lists of seemingly masculine items of interest: gears, machinery, Mexican food, digestive issues, and computer technology. It is also notable that certain items repeat and certain themes are easy to discern. This may be an ironic move, but it also reveals the partiality of the list-making method. A litany is also what would be called in computer programming an array. The similarities to the use of arrays in computer programming which enables heterogeneous lists to be compiled and the use in OOP and OOO is suggestive. This litany would not have been compiled without the kind invitation of Jill Rettberg and Scott Rettberg to present a paper on the New Aesthetic at the University of Bergen, 21/05/2012. On the return journey I opted to take the mountain train back to Oslo, which, lasting over six hours, gave me the time and distraction-free environment in which I could compile this list. I also learned that compiling litanies of litanies is at best painful and at worst something akin to mental torture. No objects were knowingly harmed in the compiling of this litany. Anderson, P. (2012) The Force of the Anomaly, The London Review of Books, April 26th 2012. 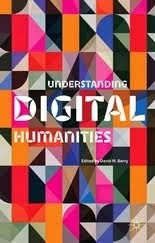 Bryant, L. (2011) The Democracy of Objects, Open Humanities Press. Heidegger, M. (1995) Basic Questions of Philosophy: Selected Problems of Logic, Indiana University Press. Heidegger, M. (1999) Contributions to Philosophy (From Enowning), Indiana: Indiana University Press. thank you for writing and posting this. it took considerable bravery and even more intelligence. your attention to the litanies as a programmatic aspect of SR/OOO is important and telling; your pointing out the absurdity of believing that "human" is an empty category while solely directing one's writings at humans is very welcome. I think, if anything, you give SR/OOO more credit than it deserves by taking Bogost as exemplary--I find him much more open-minded and responsible toward the philosophical traditions with which he engages than quite a few others in the "movement," especially G. Harman and Q. Meillassoux, who write as if they intend to be the sole conduits for their readers of the "two hundred years of philosophy" that have all fallen victim to a single error they were all too blind to see. Ray Brassier, another more respectful theorist/writer and Meillassoux's translator, has pretty much repudiated the whole thing--but even he has not, as far as I know, drawn the absolutely necessary political connections you do. You may be aware that Meillassoux, the absurd figure at the heart of the movement (in one sense at least), has now come out as a numerologist (his so-far untranslated next book discovers a numerical code in Mallarme), although remarkably this seems to have actually emboldened some of his followers.